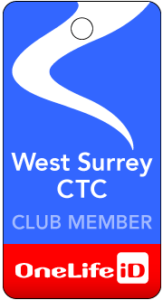 On Sunday 31st May our club is organising three audax events from Elstead village hall: the Stonehenge 200k, the Danebury 150k and the Elstead 100k. See the Audax UK website for more details. Entries are accepted on the day.